Rock-solid work from pianist Alan Broadbent – a musician who's contributed so much to so many, we sometimes forget the greatness of his talents! 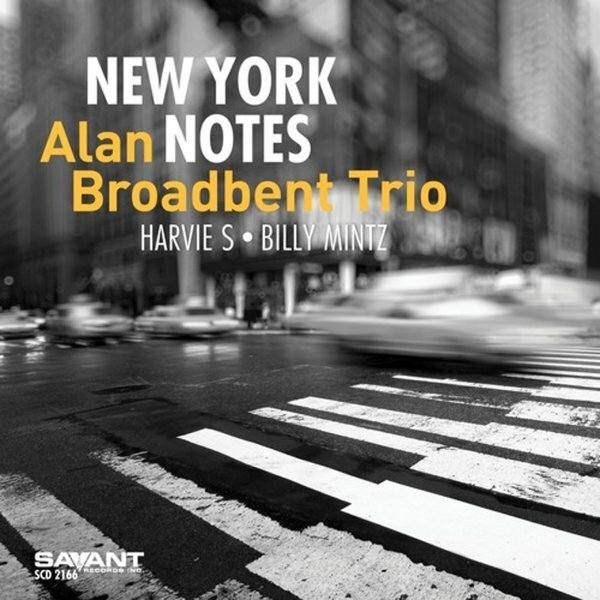 Broadbent steps in with the confidence of an old school pianist – swinging things with a mix of bop and lyricism that hearkens back to the old New York scene – beautifully matched by the thoughtful basswork of Harvie S, and given the right kick at the right moments by drummer Billy Mintz. Piano moods seem to spin effortlessly off Broadbent's fingers – whether the tune is swinging or mellow – and titles include "Clifford Notes", "Minority", "Continuity", "Crazeology", "Waltz Prelude", and "371 East 32nd Street". © 1996-2019, Dusty Groove, Inc.